Its so exciting to talk about Faith because Faith is the currency we trade with as believers. Remember that God has already blessed you with every spiritual blessing in the heavenly places in Christ (Ephesians 1:3). Note: God is not wanting to bless you. He has already blessed you because you belong to Jesus Christ. What you need to do is to use Your Faith to bring what is in the spiritual to the physical. God desires that you live healthy, prosperous, victorious, and most importantly live in the world of possibilities. “She said within herself, If I may….”. 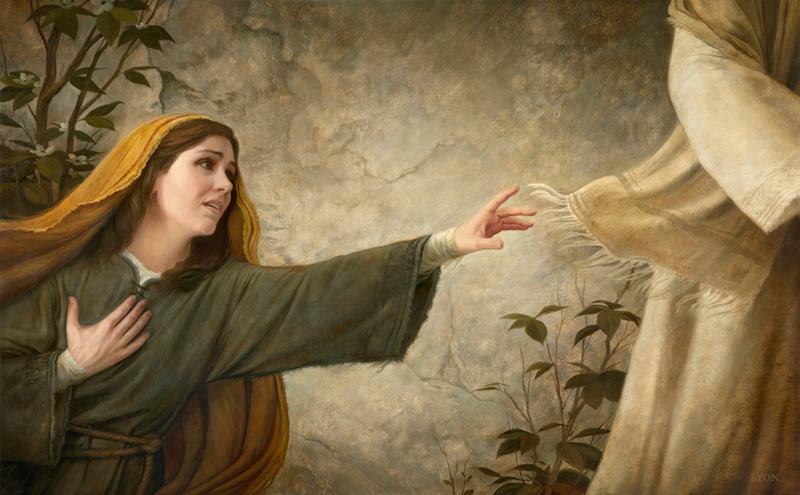 She had inner conviction that If only she could touch Jesus’ garment, she shall be free. She wasn’t interested in Jesus touching her to be healed because there were many people around which would make it almost impossible. So she believed that a touch on Jesus’ garment was enough to solve her problem. Earlier, she had spent all she had but her situation couldn’t get any better for twelve years. I don’t know what your situation is or has been, and for how long you have had to endure, hoping that one day you will receive your miracle. The first step is to have inner conviction that God, through Jesus Christ, can provide solution to your problem. Here is the point, before you go to hospital to see your GP or doctor, you believe that he/she can provide solution to your ailment. You can use same believe (one you have in your GP, dentist, etc…channel it toward God) to tap into the spiritual to get the miracle you seek. If you can Believe, you will receive your Miracle. She did not stay back after her thought. She knew that if she was going to get well, she’s got to act on what she believes would work. In effect, she didn’t allow the crowd to be a hindrance to her miracle. She pressed through till she did what she had thought within herself. A lot of times, we talk about faith and how we want God to bless us. Yet we remain passive. If you believe that a prayer from your Pastor or Friend will produce the result, why not pick phone instantly to call him/her? If watching a televised program of a man of God is what you believe will provide the answer, just stretch your hands for the TV remote. If you believe walking to the employer’s office would grant your desired job, just dress up and walk in without any fear. You’ve got to be active, and not passive. When the woman had that thought, she made an immediate move; she acted without consulting others to see how feasible that would be. Always remember that Human mind is limited to the amount or level of information it has so when it comes to what it can’t comprehend, it gives a No answer. Therefore instead of consulting people, pray to God for strength to press on. Don’t allow the crowd to stop you from moving forward. intimidation from other people, etc. But regardless of the giant or object(s) that stand(s) between you and Jesus, be encouraged to PRESS ON. It affirms the victory God has granted you through Jesus Christ and by the Power of the Holy Spirit. Words are powerful so when you hear yourself talk about what God has done in your life before others, the joy, the praise, and the glory that goes to God pave way for the supernatural to happen. I have often received miracles after testifying what I felt in my spirit. Whatever happens afterwards, I can’t explain but what I do notice is that my body and/or the situation responds to the spirit. The same power that healed the woman with the issue of blood is available to anyone who believes, act in Faith, and declares the goodness of God.